Scaffolding｜Ho Tung Chieh, Sucoot Co., Ltd.
Metal Frame｜Chen Shih-Hsiung, Chen Shih-Jung, Jinark Industrial Ltd.; Lee Chi-chang, I-HSING Humanistic Technology Co., Ltd.
Water Mist System｜Mai Chung-Yi, Yuan Tsai Co. Ltd. Lighting: Chen Chih-Jung, Thunder Soul Co., Ltd.
Pattern Making and Sewing｜ Lee Hung-Wei, Hua Wei Furniture Design Co., Ltd. Program X-Site seeks to expand the syntax and aesthetics of architecture by presenting an architecturally themed installation in the Museum's outdoor plaza. Work for this limited engagement, experiential event is acquired through a public call for entries and blends art and architecture to encourage new perceptions of spatial relations. This year, 37 entries were received and following two rounds of appraisal, the entry Mist Encounter by Serendipity Studio + Kuan-Wei Chen Architects was chosen as the winner of the 2017 award. Mist Encounter consists of scaffolding, soft, permeable material and a water mist system. The work embodies the theme “In Progress” and responds to the impending renovation of the air-conditioning system in the Museum building with its water mist system and by creating awareness of otherwise invisible air conditioning. A square within a square structure will stand in the large outdoor plaza in front of the Museum. The summer sun and breeze will drift in and animate the scaffold and mesh structure. An indistinct mist will arise from the outer square and draw visitors to come closer. As visitors walk from the outer to inner square, they will be gradually enveloped by the mist, and things will appear and disappear as the mist alternately gets heavier and lighter. The effect will be similar to an experience of passing through a heavy fog in a magical forest. Mist Encounter gives rise to a microclimate art event. It creates body awareness with mist and creates awareness of air conditioning. Layers of woven material hanging from the structure form conical vessels for drifting mist, and create a border that is distinct and blurred, hiding and revealing the world. In the double square structure, visitors can stand under the cones and breathe the moist and misty air, gaze out as they sit in swinging chairs, or chat with one another in the dense fog. The changing appearance of the mist reveals visible/invisible, public/individual, and natural/man-made qualities while referring to the theme “In Progress” and renovations in the Museum. Throughout the exhibition, performances, workshops, and forums will be held to encourage the public to consider and experience architecture differently. 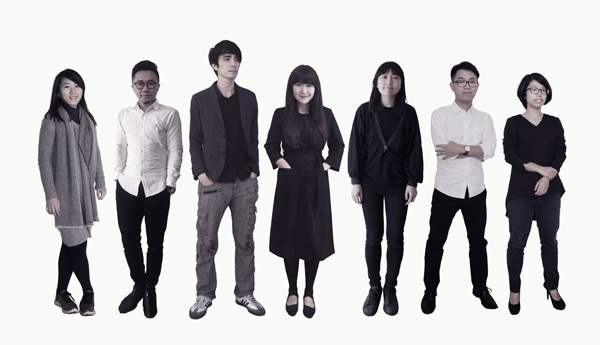 The design team Serendipity Studio + Kuan-Wei Chen Architects comprises members from Taiwan and abroad. Using a non-hierarchical cooperative structure, and working flexibly via cloud computing technology, this highly motivated team was formed of representatives from a variety of disciplines and time zones. The studio was started by Chao Wei-Hsiang and Tseng Ling-Li in 2016, and were later joined by Tsao Kai-Jui, Lo Chen-Chi, and Tsai Min-Shan to create work for X-Site. The team feels that the design process is just like the realization of accidental forces or finding opportunities in unplanned events, and then using knowledge and creativity to turn them into designs. They believe that the purpose of a designer’s existence is to find useful combinations of things, highlight the characteristics of materials, and develop memories of events. Established in 2015 by Chen Kuan-Wei and Lin Yu-Hsuan, Kuan-Wei Chen Architects specializes in space planning, public art, interior design, furniture, and landscape architecture. 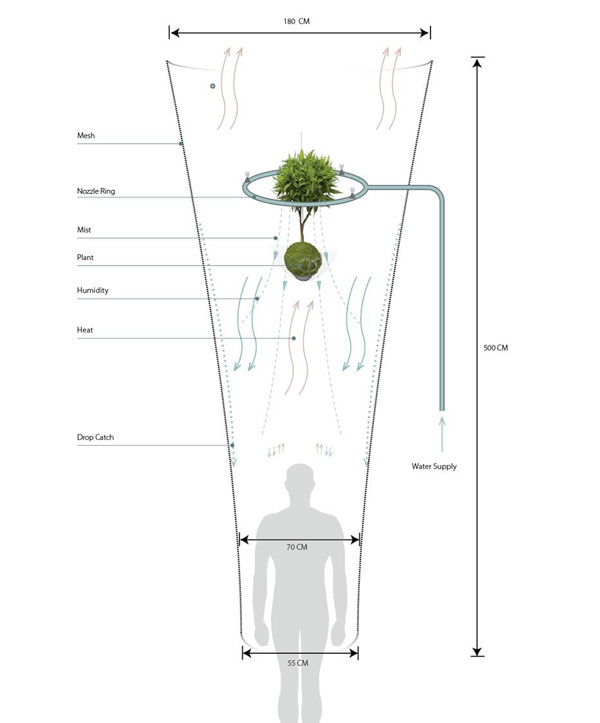 Work produced by the group focuses on proportions between space and humans, echoes the innate character of life, and values the unique features of spaces and materials.